Angela Bassett Cast in "Green Lantern"
Angela Bassett, who played ER chief Catherine Banfield, won a Gloden Globe for her portrayal of Tina Turner in "What's Love Got to Do With It?" 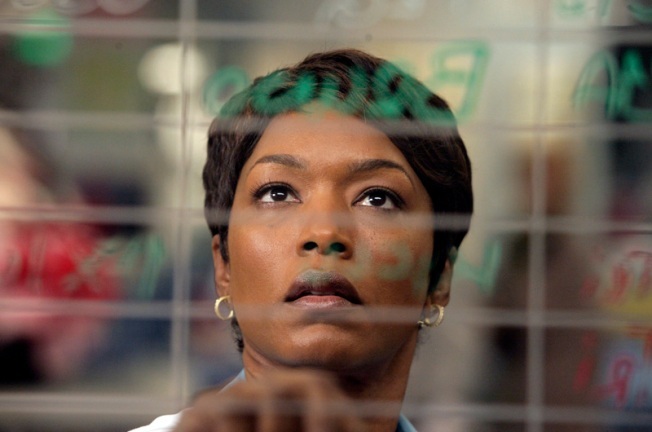 Angela Bassett can exhale – she's signed on to "Green Lantern." According to Variety, the "Waiting To Exhale" actress will play government agent Dr. Amanda Waller. She'll join a cast that features Ryan Reynolds in the title role as the DC comics hero, Blake Lively as love interest Carol Ferris, Peter Saarsgaard as the villainous Dr. Hector Hammond and Mark Strong as alien rival Sinestro. "Casino Royale" director Martin Campbell will be helming the movie, which is slated for June 17, 2011. VIEW THE PHOTOS: All Access: Comic-Con 2009 Invades San Diego!